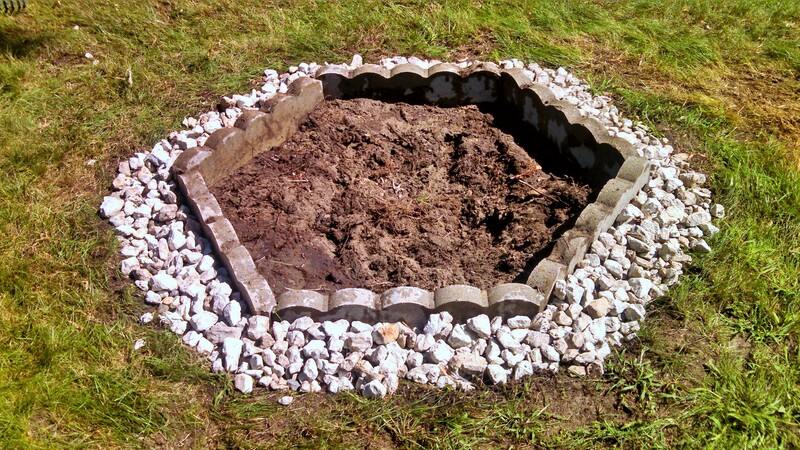 We finally got around to making a fire pit in our back yard, and I’m super proud to say that it cost us exactly $0. That’s right, we didn’t have to pay a cent to make it! Some of you who know me have probably heard me talk about the work we’ve been doing on the front of our house, specifically describing the hours I spent pulling rocks out of the side garden. 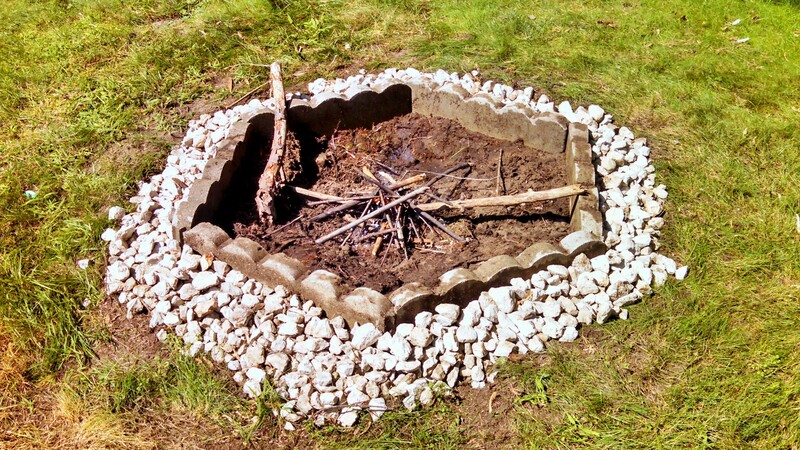 While it was a huge time investment to gather so many rocks, we were able to put them to use when we made our fire pit. We were able to use some stone borders from the front garden as well. 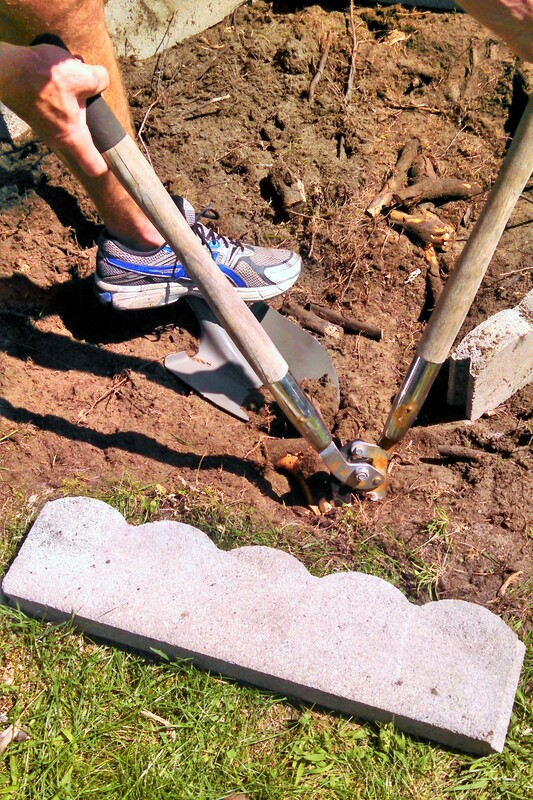 Chad dug the pit, and we worked together to cut out roots and arrange the stone border. 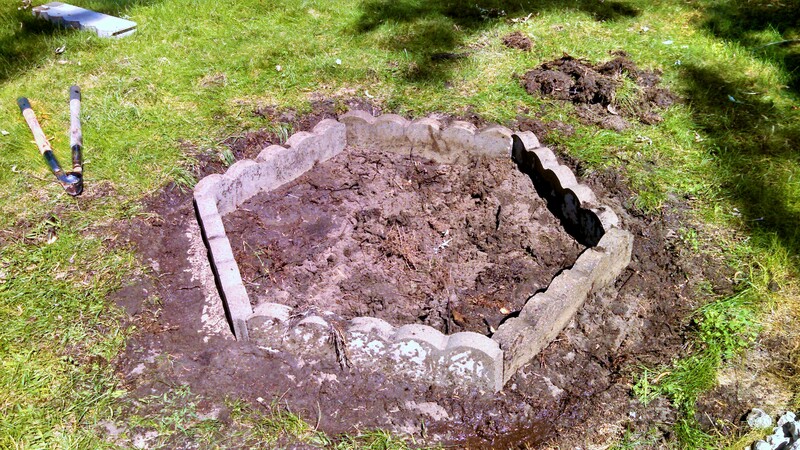 Once that was done, we added some dirt back into the pit around the sides of the border for support, and then sprayed everything down with water to help sink the border down and stabilize it. For the last step, we took some of the rocks I had pulled from the front garden (yes, even after this project we still have leftover rocks!) 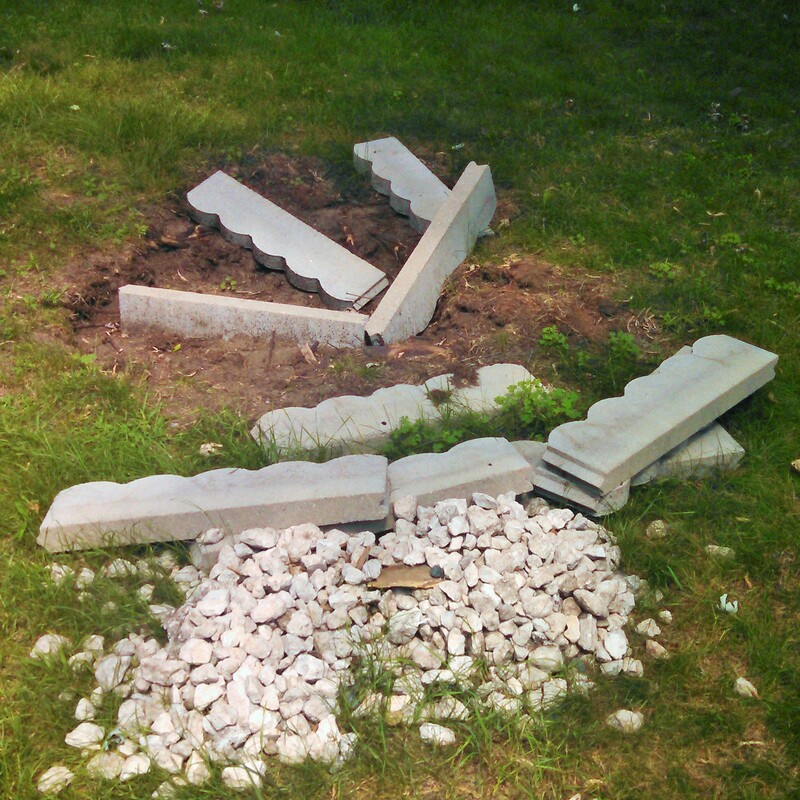 and arranged them around the fire pit as a border. We tried a little fire right after that, but then I had to go to work. Unfortunately we’ve had a lot of rain since then, but we’re really looking forward to having a bonfire and whipping up some delicious s’mores soon! 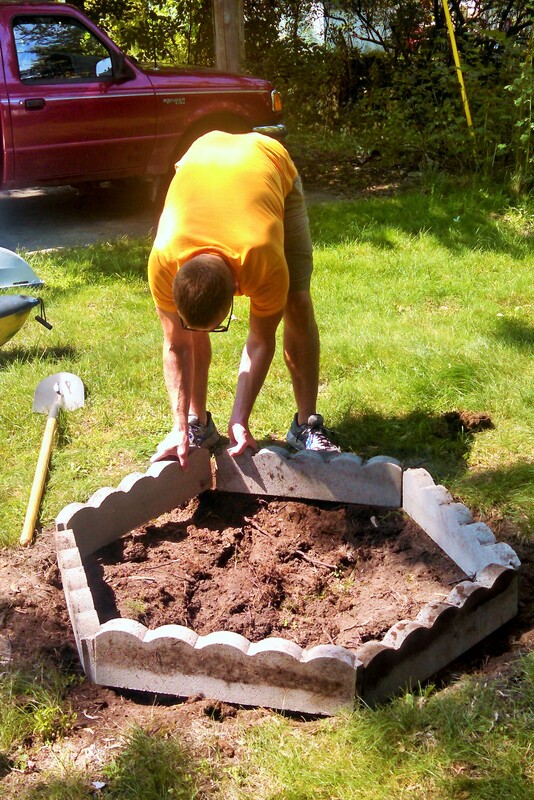 Have you ever been able to up-cycle something for a project in your yard?